I have written about building my low budget video studio in the past, but today I was really amazed at what the Center for Professional and Distance Education at the University of Central Oklahoma (CPDE) has built for less than $2,000. Today they presented for the e-Learning Guild's DemoFest. They are doing a fantastic job using video to personalize their online courses, but in addition to that they shared the details of their amazing feat of building a green screen video studio. Here is the final budget of the studio, which as you can see they really got bang for their buck. Finer details of the studio set-up can be found in the PDF they were nice enough to provide, which you can download here. 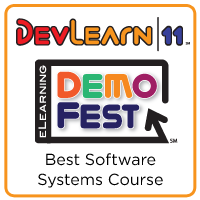 In addition to CPDE's presentation, DemoFest included 4 other great demos. In case you missed it, a recording is available at the eLearning Guild.